The tunnels we supply are made from high grade steel with an excellent galvanised finish. These strong temporary or emi-permanent structures are laid out to suit each customer’s specific requirements. 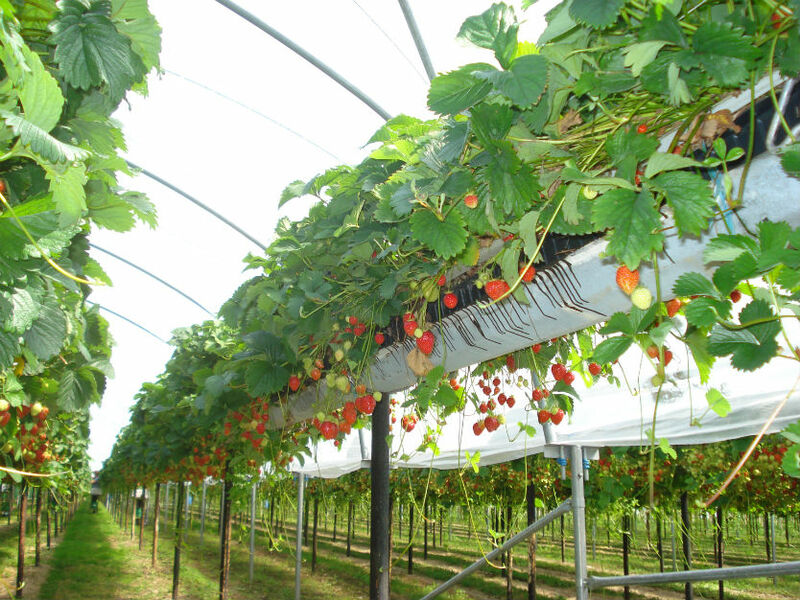 Our tunnels by growers to protect soft fruit e.g. strawberries, blueberries, raspberries, grapes, cherries etc.. 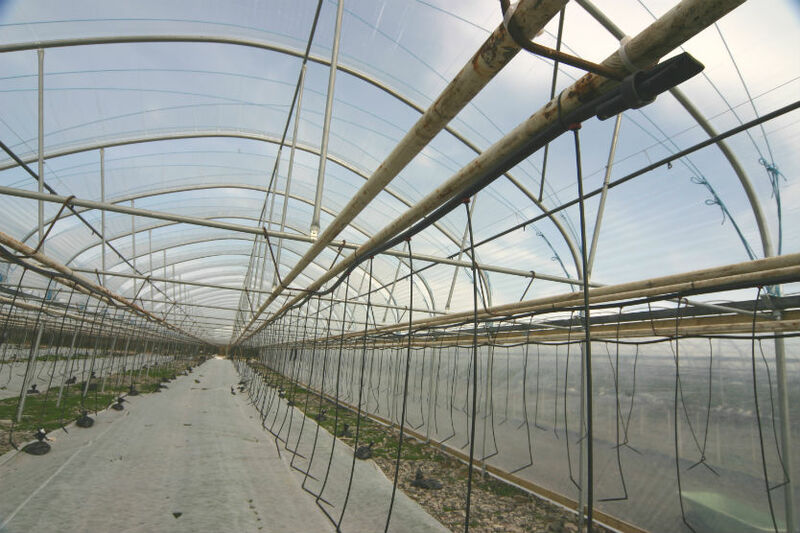 The structures allow for high levels of ventilation but at the same time give the crops maximum protection from frost, rain and wind damage. 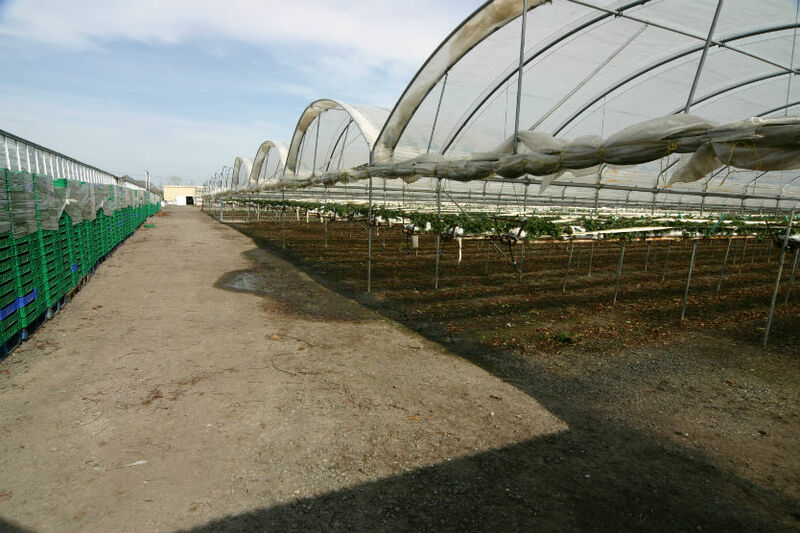 Depending on requirements, the covers can be removable to facilitate crop care and harvest. 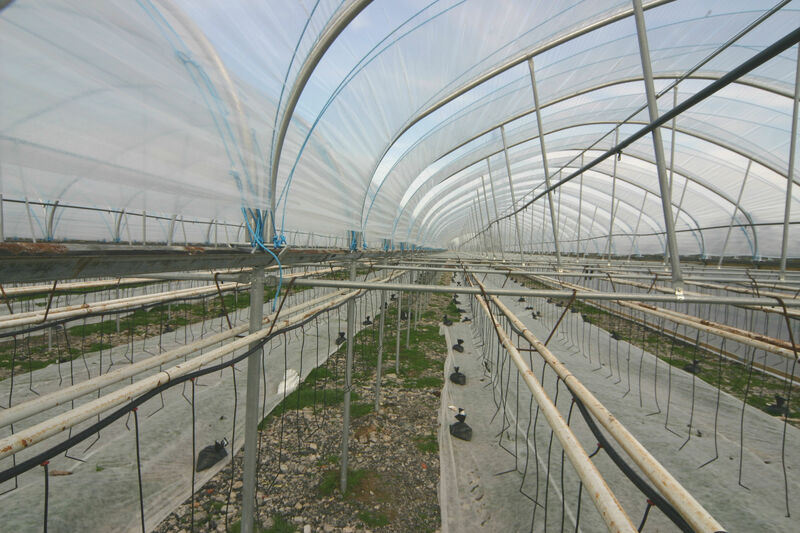 - Single Tunnels or Multi-span tunnels specific to field grown crops. Widths vary depending on requirements. 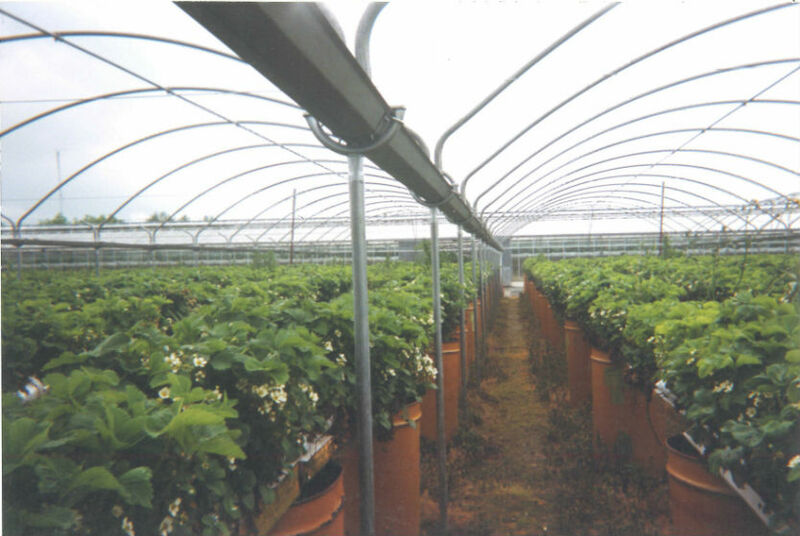 - Tunnels can be installed to fit all field sizes and elevations. 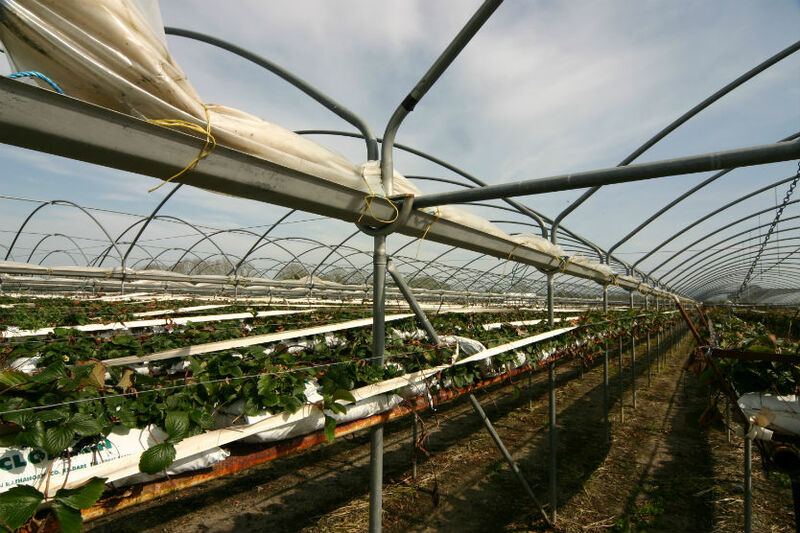 The advantages of the tabletop system of growing strawberries is the ease of the picking of the fruit, better disease control leading to higher yields, thus resulting in better financial returns. The system can be supplied by CWP. Secondhand Gutters and Heating pipe can also be supplied as part of the system.